In this release we feature inclusive design, reluctant RA, library space, David Fiander, Karl Marx, and makerspaces. Open Shelf is delighted with the return of Amanda Etches, this time with a new column called Incidentally. Amanda will be drawing observations (pun intended) on a variety of library events and issues. First up: Inclusive Design at the OCULA Spring Conference. Readers’ advisory services are essential to effective library service and yet staff are not always comfortable providing recommendations. Diana Krawczyk to the rescue: Reluctant Readers’ Advisors: Help Your Staff Help Readers. 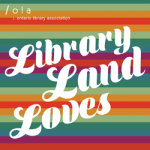 Bessie Sullivan continues her new Trees and Forests column with a consideration of library space and how we can use it more effectively: Libraries as Public Spaces. The Library IT Crowd column continues its mission to highlight the amazing work of IT folks in libraries. This time it’s Western University’s David Fiander. Karl Marx. Finally an Open Shelf article about Karl Marx … and libraries. Leave it to John Pateman to make the connection: Karl Marx and Critical Librarianship. What’s happening with makerspaces? Ab. Velasco brings us up to date with all things makerspace at the Toronto Public Library: Five Trends in Library Makerspaces.